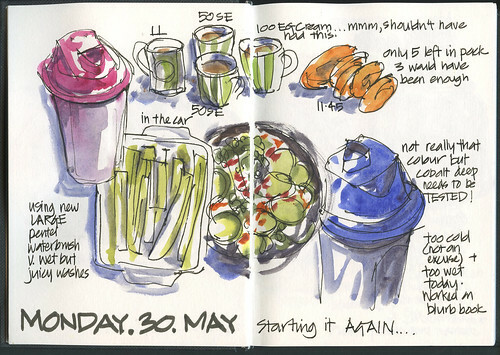 I am not sure where the month of May went...but it is gone by without me feeling like I have been out sketching much. 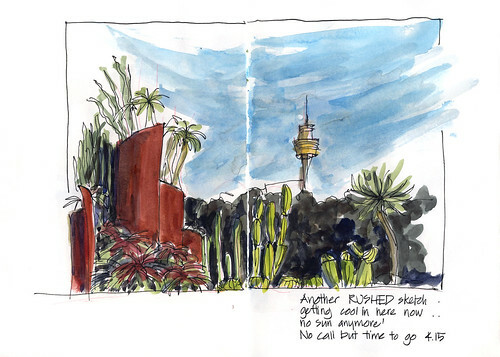 In compariosn with March and April I certainly haven't done much urban sketching. At the beginning of the month I join a group of over 100 sketchers in a Every Day in May challenge. I was unable to continue with it for the last two weeks but had fun earlier in the month. Here are two of the 'more' urban sketches. On the day when we were to draw salt and pepper shakers we went around various cafes in Crows Nest to find the most interesting to draw. 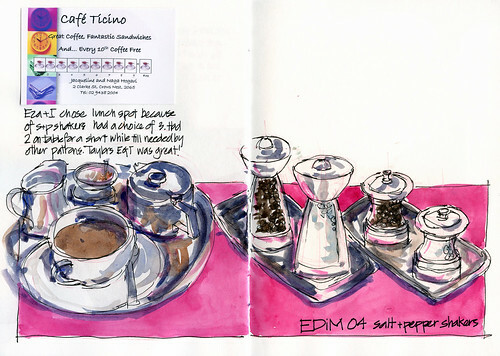 Cafe Ticino (which also happens to have the best Earl Grey tea in Crows Nest) had a choice of three varieties. 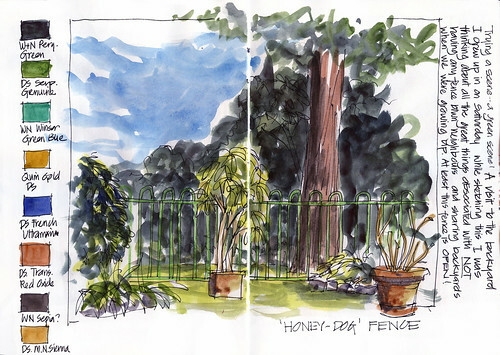 Draw a fence - the backyard where I grew up is unusual as until recently there were no fence between our house and the neighbors. We often used to share the lawn with our neighbours growing up - especially useful for backyard cricket when either of us had visitors and we often played hide and seek type games across the two properties. We never thought that there was a need for privacy from them. The only reason for the fence was because the current neighbours bought a dog but even then both they and my parents didn't want to lose the openness. I also made it back to the Botanic Gardens a few weeks ago - it is amazing how much the season has changed in the 2 weeks of absence.